Guide to Best Way to Get the Google Pixel Camera APP in any Android Phone to shoot the awesome Image. Recently, Google has released the Best Android Phone of year “Google Pixel and Google Pixel XL”. The Phone features the best Software and best hardware to bring the Awesome user Experience to the Android Users. Previously, Google has launched the Smartphones under the “Nexus” Brand. Google Pixel and XL are the First Premium Models from the Google Under the Pixel Brand. The Google Pixel phone comes with Latest Android Operating System Android Nougat 7.1. The Latest Android 7.0 offers enhanced version of the User Interface using Material Design. The Google Pixel Offers many new UI features like Launcher shortcuts feature, swipe up from your dock to reveal the new full screen All Apps mode, tint the dock, use the new circular folder style. We’ve posted in our previous post about How To Get the Google Pixel Launcher in Any Android Phone. 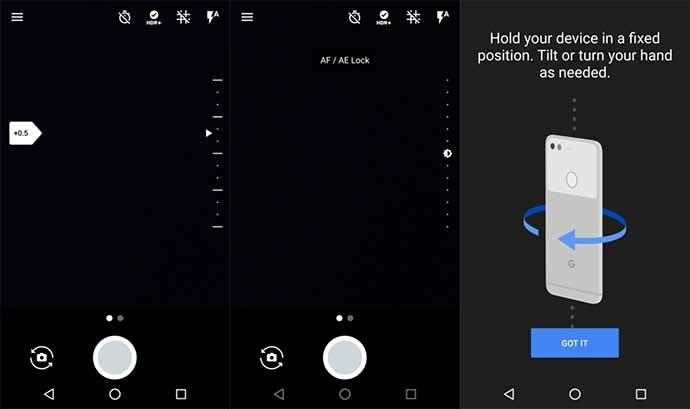 In this Guide, we are going to show you that How to Get Google Pixel Camera App in Your Android Phone without Rooting. Google Pixel camera is one of best software that comes to the Google Pixel Phones. Sofar, the Nexus devices Nexus 6p and Nexus 5s has been successfully flashed with Google Pixel camera apk without any issues. Regardless, the other Android users have no luck to grab the Goodies that comes with Pixel Phones. However, the Active Android Mod Community has released the Google Pixel camera apk . Now, All Android users can install Google Pixel camera app in their phones without any problems. The Developer in XDA Labs have used the System Dump of the Google Pixel & Pixel XL Phones and ripped out the Google Pixel Camera app APK. Then he modified it to work on ARM64 devices. If you have Android 7.0 or higher running on your phone, You can install the Google Pixel Camera app. Let’s start the installation procedure to get the Pixel camera in your Android device. Download the Pixel camera Apk from Here. Once Download Completed, Store that in your Phone’s Internal Storage or SD card. Now Open the Downloaded apk file from Your Phone SD card or storage using file explorer. Just Tap “Install” to install Google Pixel camera in Android Nougat Devices. Now, You have successfully installed the Google Pixel camera in your device. You can enjoy new features offered by the camera app without purchasing the Google Pixel phone.